Theo Bowe lead the Capers to a big Class B West win over the Yarmouth Clippers, 61 - 39, to secure the 2nd....errrrrr...3rd seed (thanks official site). 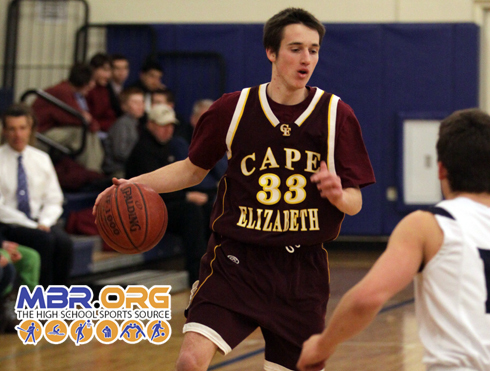 The Capers got a big contribution from Chris Robicheaw on defense, but also chipped in with 11 points of his own. Bowe lead the Capers with 15 points including 3 3 pointers. Josh Britten lead the Clippers with 17. The Clippers close out the season at Gray New Gloucester, which could be a win and in scenario for G-NG. Same goes for the Capers last foe of the season, Falmouth is fighting for the last spot with G-NG. The Capers close out at home.